Surrender at 20: Headhunter Caitlyn now available! "A sniper's greatest tool is precision... and good equipment." 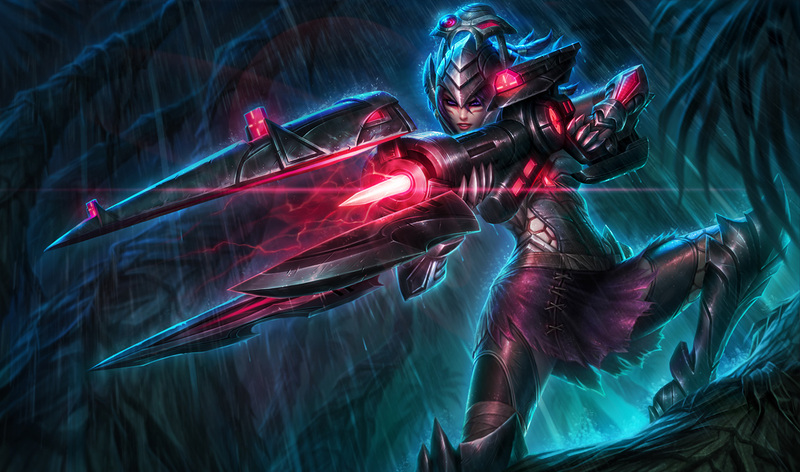 - Headhunter Caitlyn is now available for purchase for 975 RP! Continue reading for a better look but don't lose your head! "Days of grime and sweat clung to Headhunter Caitlyn’s face. She’d been stalking her mark for days, probing for a chance to take her shot, only none had come. Until now. Finally, the fool had cornered himself in some woods, completely oblivious to his impending demise. Preparing the battlefield, Caitlyn tossed out another holotrap, nodding as its cool green light began blinking against the midnight backdrop. The trap clamped shut around her mark’s leg. In the same instant, Caitlyn launched her energy net, bracing herself against its hefty recoil. Pulling her rifle back to level, Caitlyn activated its holographic targeting system before pulling the trigger one more time. A burst of energy tore through the night, bathing the battlefield in crimson. Ace in the hole. Join the Headhunters’ ranks with Headhunter Caitlyn, available now in the League of Legends store for 975 RP."